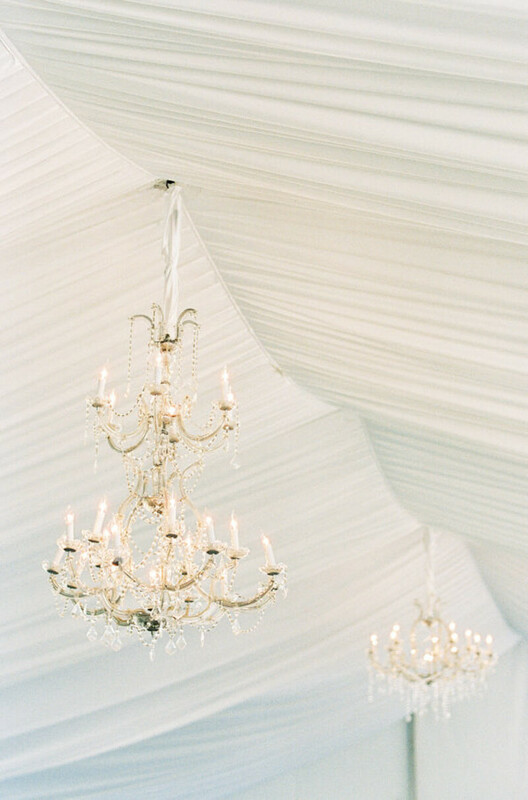 Incorporating chandeliers at a wedding reception is one of the easiest and quickest ways to add instant style. These statement pieces provide romantic light and elevate the look and feel of any venue. And in 2018, there is a spectrum of options — from regal to rustic— to light up any celebration. Crystal chandeliers are one of the most classic lighting options you can select. Incorporating a few of these in a row along the top of a white tent creates a timeless look. A more contemporary feel might include simple woven chandeliers. The minimalist look balances out with the formal tablescape and complements the reception décor. For even more glitz and glam, these chandeliers hang low above the table for added illumination. Under a ceiling of greenery, they catch the twinkle of the candles and string lights to create gentle warmth overhead. Rope-inspired chandeliers make a statement in an open-air reception. Not only are they functional and beautiful, they bring attention to the immaculate fabric panels that create the look of a tent. 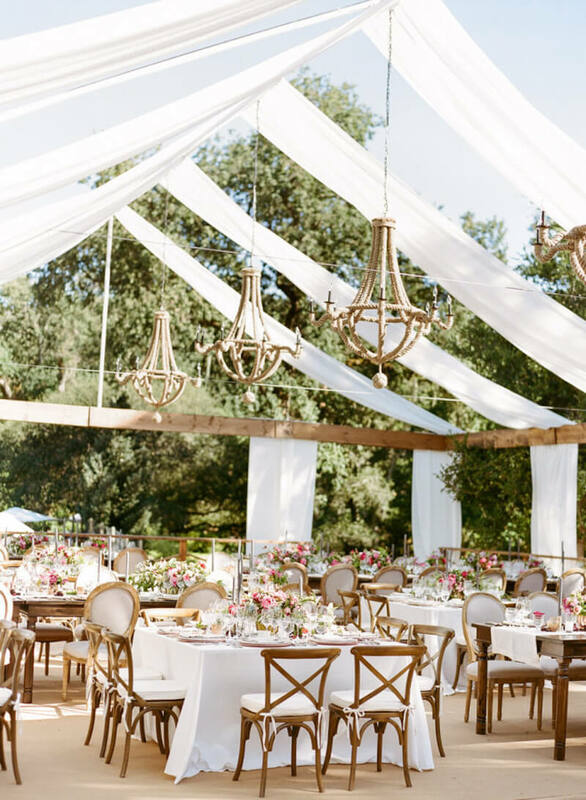 For a garden-themed affair, these golden chandeliers are dainty and divine. Hanging a small chandelier right above the table will allow guests to feel they’re in an intimate setting. A large metal chandelier truly captures the old world charm many couples love. Whether it’s at a castle, a vineyard or an historic venue, an oversized chandelier like this in the middle of the reception space will be a focal point for all. Chandeliers are timeless touches that can take your reception from ordinary to extraordinary with just the simple flick of a switch. Talk to your reception venue partners about what lighting options they have or inquire about their preferred vendors. Chandeliers are worth the investment because they’re not only a light source; they’re part of your décor, too!